An organization called Sea Shepherd Global announced yesterday that it will take up the cause of battling Japanese whaling ships in the Southern Ocean of Antarctica later this year. The announcement comes just days after court approval of a legal settlement, a deal that will forever block Sea Shepherd Conservation Society from confronting Japanese whalers on the high seas. Sea Shepherd Global, based in The Netherlands, apparently is out of reach of the U.S. courts, which sanctioned the original Sea Shepherd group for its sometimes violent actions against the whalers. Sea Shepherd Conservation Society, the U.S. group, is led by its founder, Capt. Paul Watson, who had stepped down for a time. 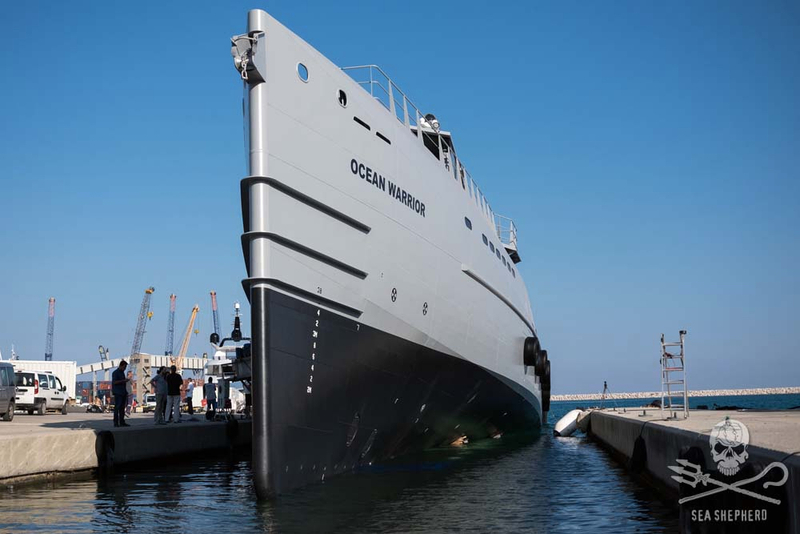 The Ocean Warrior is a new ship added to Sea Shepherd Global’s fleet. Sea Shepherd Global has mobilized its forces for what it calls the “11th direct-action whale defense campaign.” The group has built a new ship it claims can keep up with and surpass the Japanese harpoon ships. Anyone who has watched “Whales Wars,” the reality television series, probably knows that Sea Shepherd’s ships have suffered from a lack of speed and were often left in wake of the whaling vessels. Sea Shepherd, with its fierce opposition to killing marine mammals, has always claimed to be on the right side of international law when it comes to whaling. Now its members are inspired by a 2014 ruling in the International Court of Justice, which found that whaling — at least as practiced by Japanese whalers — is not a scientific endeavor. The Japanese government has lost its only justification for whaling until it develops new scientific protocols acceptable to the International Whaling Commission. Review a discussion of these issues in Water Ways, March 31, 2014, with an update on Dec. 14, 2015. Sea Shepherd Global also justifies its plans with a contempt-of-court citation filed by the Australian Federal Court against the Japanese whalers for killing protected whales within the Australia Whale Sanctuary. Japan, however, does not recognize the sanctuary nor the Australian jurisdiction. After the International Court of Justice ruling, the Japanese took a year off from whaling before submitting a new whaling plan, which was questioned by a scientific committee at the International Whaling Commission. Without waiting for approval, the whalers returned to the Southern Ocean last December. A limited Sea Shepherd fleet followed, but the whalers killed 333 minke whales — a quota approved by the Japanese government but nobody else. Meanwhile, Sea Shepherd Conservation Society (SSCS) has been engaged in a legal battle with the Japanese-sponsored Institute of Cetacean Research in the U.S. courts. Initially, a U.S. district judge dismissed the Japanese claims. 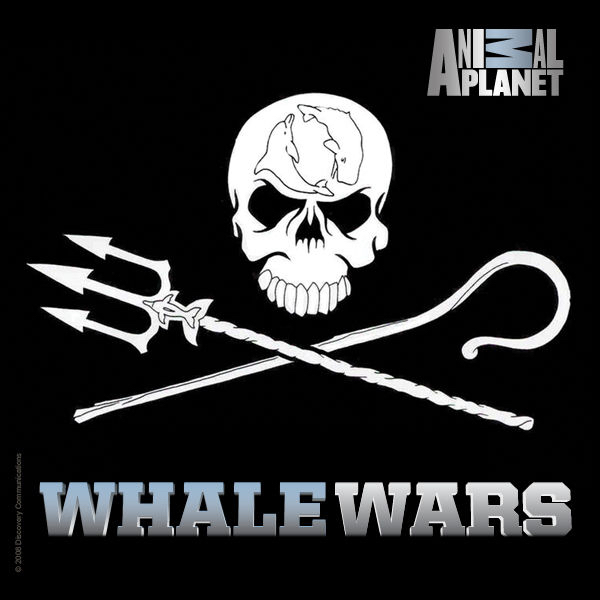 On appeal, however, the Ninth Circuit Court of Appeals called Sea Shepherd a “pirate” organization, ordered the group to stay away from the Japanese ships and eventually found Sea Shepherd in contempt of court for a peripheral involvement in the anti-whaling effort. Initial appeals court ruling: Water Ways, Feb. 26, 2013. SSCS agreed to pay $2.55 million to settle a damage claim from Japan in light of the contempt ruling. The group had been hoping that Japan’s lawsuit in the U.S. courts would open the door for a countersuit, in which the illegality of Japanese whaling would spelled out and confirmed. The agreement mentions a “settlement consideration to be paid to Sea Shepherd Conservation Society,” although the amount has not been disclosed. The Institute of Cetacean Research immediately issued a news release about the settlement. Paul Watson offered a three-pronged post on his Facebook page. One part was his own message, saying Sea Shepherd would remain opposed to whaling but would comply with the settlement provisions. In its statement yesterday, Sea Shepherd Global said it was disappointed that the international community has not taken more steps to protect whales in the Southern Ocean. Still, Sea Shepherd Global will be there with a new fast ship, the Ocean Warrior, built with the financial support of the Dutch Postcode Lottery, the British People’s Postcode Lottery and the Svenska PostkodLotteriet. “For the first time, we will have the speed to catch and outrun the Japanese harpoon ships, knowing speed can be the deciding factor when saving the lives of whales in the Southern Ocean,” said Cornelissen. The Ocean Warrior will undergo final preparations in Australia at the end of the year, about the time that Japanese whaling ships arrive for their anticipated harvest of marine mammals. And so the whale wars will go on but without any involvement from Paul Watson and his U.S. contingent. By the way, Paul, who had been living in exile in France, has returned to the U.S., according to a news release from Sea Shepherd that recounts Paul’s history of fleeing from prosecutors in Japan and Costa Rica. Paul, 65, and his wife, Yanina Rusinovich, a Russian-born opera singer, are now living in Woodstock, Vermont, and expecting a baby in October. This year’s encounters between Japanese whalers and Sea Shepherd Conservation Society appear to be the most violent of any year so far — and the whaling season is not yet over. As I described in the previous entry in Water Ways, which I just completed, legal action against Sea Shepherd has caused few substantive changes in these high-seas confrontations. That’s because Sea Shepherd has transferred all such operations from its U.S. organization and to its Australian organization. The move effectively removes jurisdiction by the U.S. government, according to Sea Shepherd reports, mentioned in the previous blog post. So let’s catch up on actions so far this year in the Southern Ocean between Sea Shepherd and the Institute of Cetacean Research. As I reported in January (Water Ways, Jan. 4), Sea Shepherd has added the 184-foot SSS Sam Simon, a former Japanese government ship, to its flotilla. 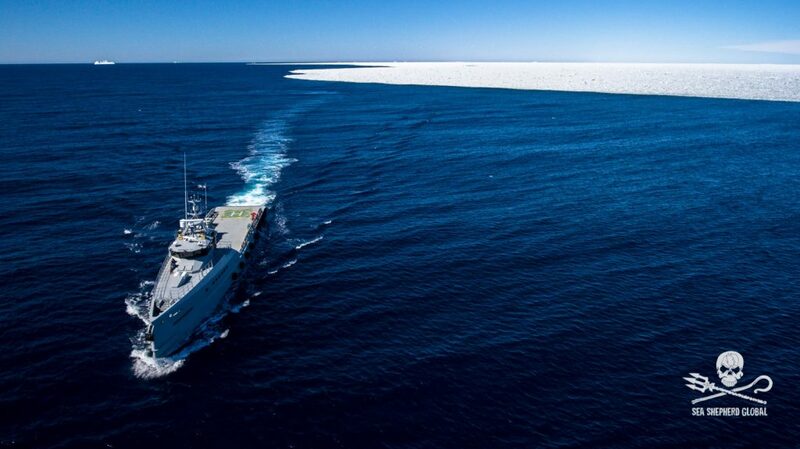 The fleet now includes four primary vessels: the Sam Simon, Steve Irwin, Bob Barker and Brigitte Bardot, as well as several unmanned surveillance aircraft. The Institute of Cetacean Research, which manages Japan’s whaling operations in the Antarctic, and Kyodo Senpaku, which owns the whaling ships, are seeking a court order against Sea Shepherd Conservation Society. The lawsuit, filed last week in U.S. District Court in Seattle, claims the court has jurisdiction over matters between U.S. and foreign citizens when the amount in controversy exceeds $75,000. Sea Shepherd is based in Washington state, thus the filing in our region. The lawsuit alleges that tactics used by Sea Shepherd have endangered Japanese whaling ships and their crews. 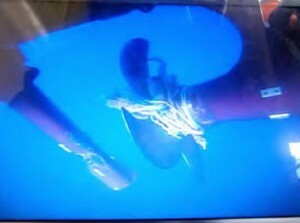 Tactics listed include throwing butyric-acid-filled bottles, smoke bombs and incendiary devices; ramming one ship into another; and entangling the propellers with ropes. “Unless enjoined as requested below, defendants will very soon engage in attacks on plaintiffs that will seriously endanger the safety of the masters, their crew and researchers, and the vessels owned by Kyodo Senpaku and chartered by ICR. “Navigating in the Southern Ocean can be dangerous given the cold waters, the presence of icebergs, the possibility of storms, and its isolated location far from ready third-party assistance. If a ship lost propulsion or steerage due to a successful fouling rope attack, the ship, its Master, crew, and researchers could be put in serious jeopardy, especially in the vicinity of floating ice or if a storm or heavy seas occurred. “The safety and health of the ship’s crew are endangered by the launching of projectiles against the ship, especially glass projectiles filled with butyric acid. 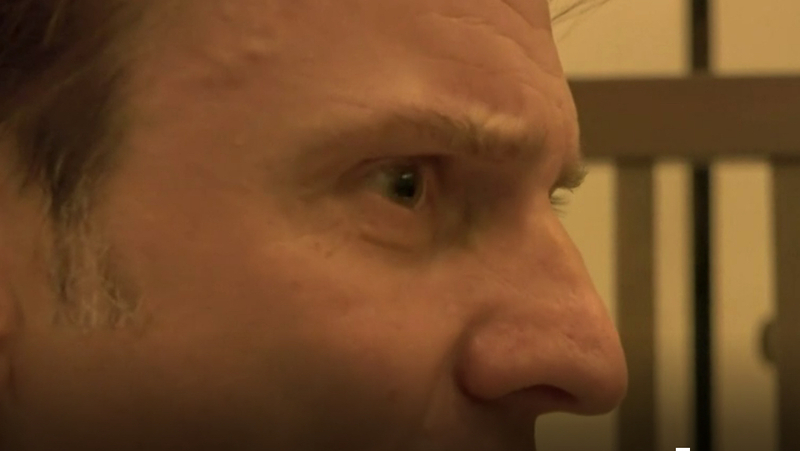 A crew member could be blinded in such an attack or receive a blow to the head or body or be cut by pieces of glass. Such attacks also cause fear or distress in the crew, thus interfering with the normal operations on board. Incendiary devices like those launched in the past could cause a fire or, even worse, an explosion. Close-quarter attacks by SSCS vessels run the risk of a collision. 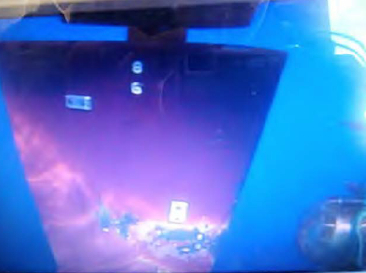 Court exhibit allegedly showing damage to rudder of Yushin Maru No. 3 from prop fouler. For background on the Ady Gil, see Water Ways, Dec. 20, 2009. For all Water Ways entries on Sea Shepherd, visit this search page. Another news release (PDF 12 kb) comes from the Institute of Cetacean Research, but reading the court complaint (PDF 176 kb) is more interesting. 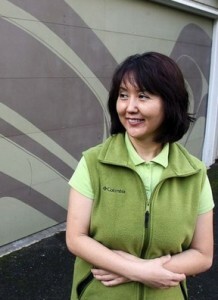 Izumi Stephens, the Bainbridge Island woman who traveled to the Antarctic to defend whales against Japanese whalers, has ridden an emotional roller-coaster during her first 40 days at sea. One thing Izumi has learned is that the sight of a humpback whale can lift her spirits, she told me today by satellite phone from the Southern Ocean. The Steve Irwin left Hobart, Australia, on Dec. 2. Izumi was at sea about three weeks — having survived a bout of severe sea sickness as well as homesickness — when she spotted a massive humpback whale off the side of the ship. She still misses her children, her friends and her community, she says, but seeing that first whale reminded her why she had joined the battle in the first place. Spending weeks at sea is an experience like nothing she has ever faced before, Izumi said. She takes her turn at mopping floors, washing dishes and cleaning toilets. She has used her language skills on only a few occasions — mostly to speak to Japanese reporters covering the story and updating Sea Shepherd’s new Japanese-language website. 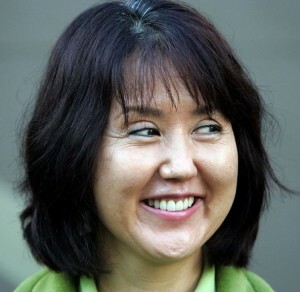 Watching whales swimming in the ocean has brought real meaning to the anti-whaling campaign, she said. 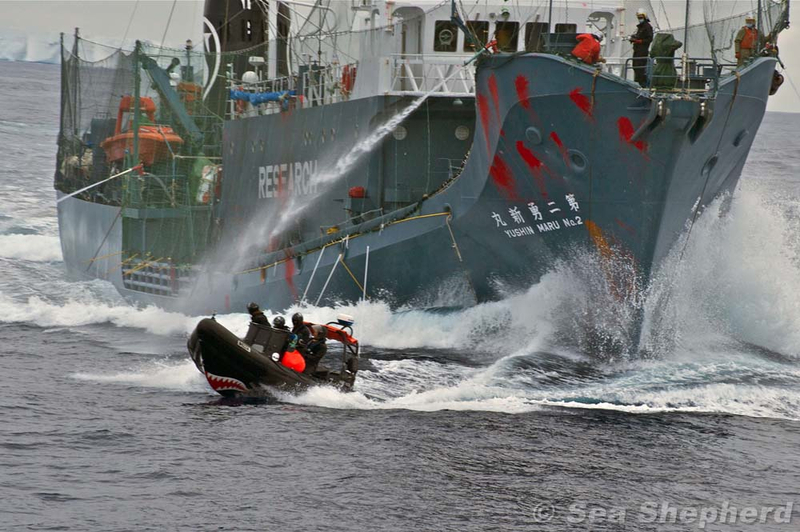 A day or two after that first sighting, Sea Shepherd faced its first encounter with the Japanese whaling fleet.